Influence were excited to attend the turf cutting ceremony to mark the official commencement of construction works on The Parklands residential development in Sudbrooke. The ceremony was hosted by Lincoln-based developer Jackson Living, part of Jackson & Jackson Developments and was attended by members of the local community and other stakeholders. The Parklands will be a collection of 155 exclusive, individual properties, set within a woodland location, just a few miles north of Lincoln. When complete, the 46.7-acre development will also feature outdoor open spaces, woodland footpaths, a restaurant, kitchen garden, community allotments and an outdoor gym. Preparation works have already been underway at The Parklands site since March, creating accessible paths in the local woodland, introducing new species to the existing ponds, and working to ensure wildlife inhabitants in the surrounding area are protected. 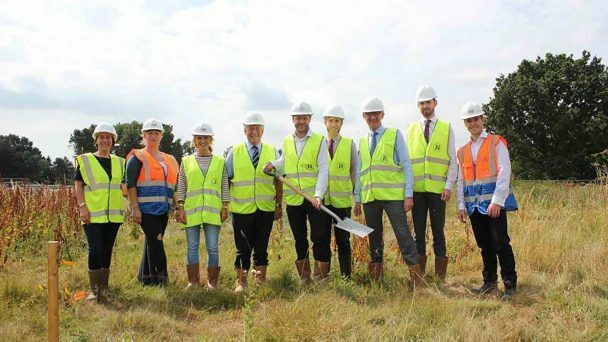 Dominik Jackson, director at Jackson & Jackson Developments, said: “The Parklands will offer not only a stunning place to live, but also a real sense of community for its residents in a beautiful woodland environment. 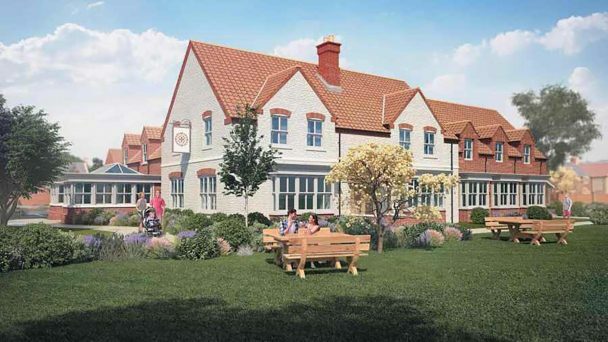 “It is a world away from the traditional images of a housing estate; this is a new generation of bespoke housing which will promote and enrich village life. Influence were commissioned in October 2016 to provide arboriculture, landscape design and management services. The main landscape considerations for the site were the effects of development on trees including those protected through Tree Preservation Orders and adjacent Site of Nature Conservation Importance (SNCI) and the locally designated Historic Park and Garden. Critically the landscape strategy for the site was developed to allow for the preservation, conservation, restoration, protection and enhancement of the landscape to create a unique and functional living environment appropriate to the development aspirations and setting. The landscape design sought to respond to the historic landscape, character and visual amenity of the site to provide a sympathetic design response mindful of the need to conserve, restore and enhance the existing site. 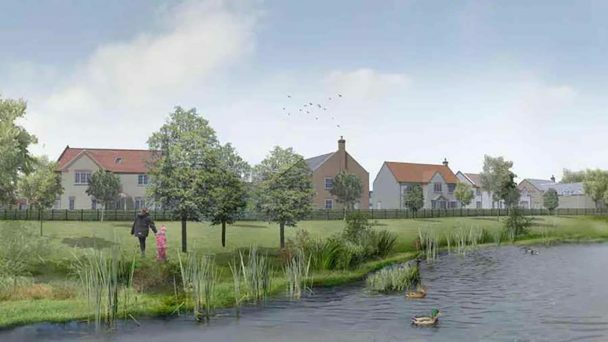 A landscape management plan was written to bring the site and its assets into active management, promoting it for the enjoyment of both residents and the wider community of Sudbrooke.